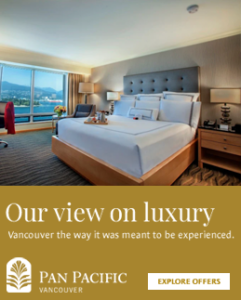 We’re celebrating our new Italian-inspired, exclusive Pacific Club Rooms and Suites by partnering with LEONE Vancouver for an Instagram contest! Enter to win a one night stay plus a $400 Leone’s gift card to shop their Spring/Summer 2017 designer fashions! 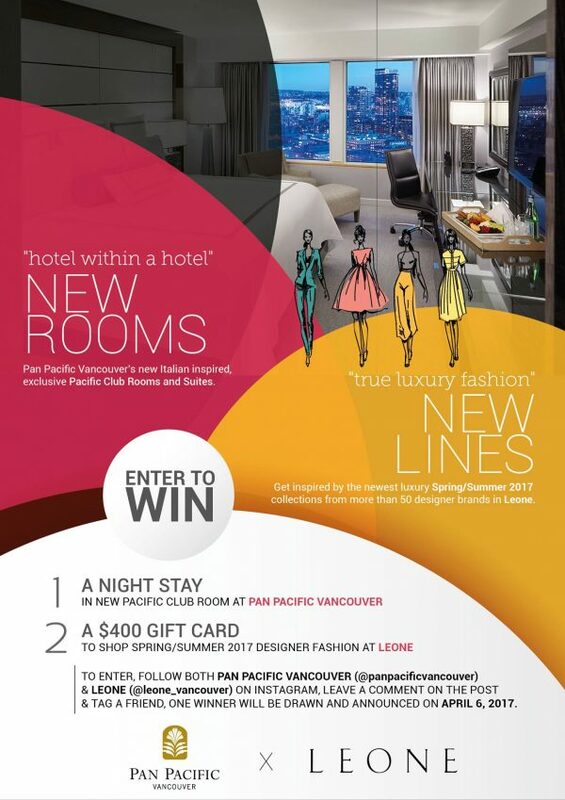 To enter, follow us (@panpacificvancouver) and Leone (@leone_vancouver) on Instagram, leave a COMMENT on either Instagram & TAG a friend. One winner will be drawn and announced on April 6, 2017. Good luck!